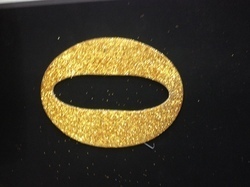 Our company has achieved widespread recognition in providing Glitter Sticker. 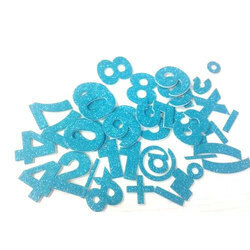 With the valuable assistance of skilled team of professionals, we are engaged in offering an extensive range of high-quality Glitter Smiley Foam Sticker. Being a leader in the industry, we are engaged in offering a qualitative range of Fancy Glitter Fabric Sticker to our customers. Glitter Stickers : These stickers are printed with attractive glittering powders in various colours.These can be fused on any garments. Available in PVC, PVC Free and Phthalate Free qualities. This product is meant for In-Pack promotional purposes and orders are taken only in bulk. Please kindly note that the Minimum Order Quantity should be of 50, 000 - 1 Lakh pieces. - Minimum Order Quantity 50, 000 pcs.